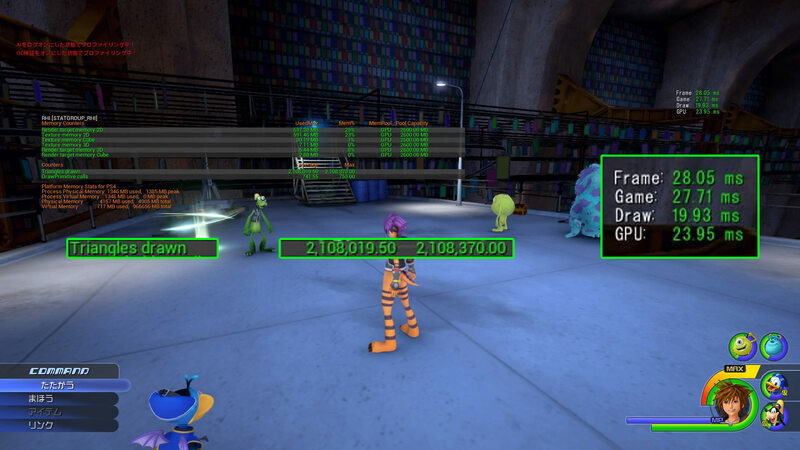 RUMOR: More Monsters Inc. screenshots from KINGDOM HEARTS 3? 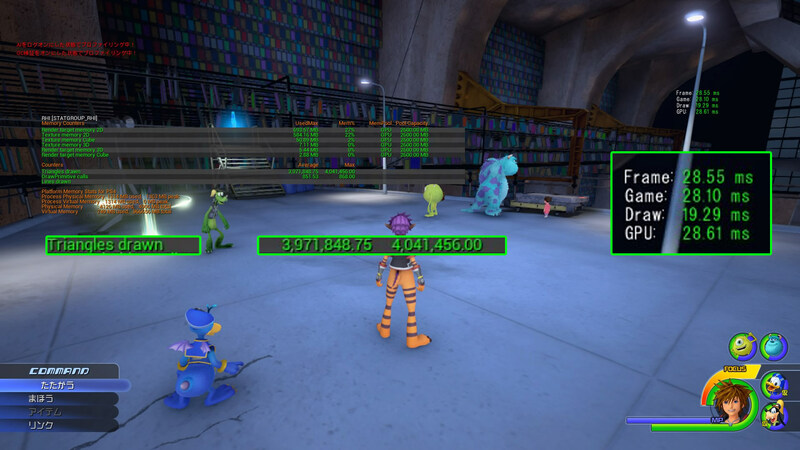 Forum member nintendo has shared another batch of screenshots of a Monsters Inc. world in KINGDOM HEARTS 3, presumably taken from an older developer build of the game. These unverified screenshots show off the inclusion of Boo, as well as new locations such as the Door Vault. What are your thoughts about the rumor now that more images have emerged? Do you believe it's real, or that it's still an elaborate hoax? Now I probably havenâ€™t seen all the screen shots of kh3 but if these are real is Vanitas showing up? Cause in one of the screenshots they show an Unversed. Environments look a little dull but there isn't much you can do. At least it's not as bad as port royal. Still...i have a little of a hard time believing someone would fake this now. It would be pretty funny if this was just a scrapped world someone got footage of. I've always been on team real, and this just cements it. I really doubt anyone would go to the struggle of creating new designs for Donald, Goofy, and Sora, as well as create Sulley, Mike, and Boo just for a hoax. Add into that creating the new Unversed and bringing in Floods and Fire Cores, with four new environments.... if this is a fake then this person has waaaay too much time on their hands. You can tell that at the time of this build, the environments were really unfinished. Hopefully it looks more full and finished when it's officially revealed. This should give enough reasons to believe it to be real or in early stages of work. Ive noticed they hide Sora's face though maybe cause it's too early to see. I mean why waste someones time to build so many locations, models and effects. Then they could make their own MI world. "But the Rayman fake... anybody can Photoshop". Man, whoever even assumed that these were fake to begin with were really lying to themselves. 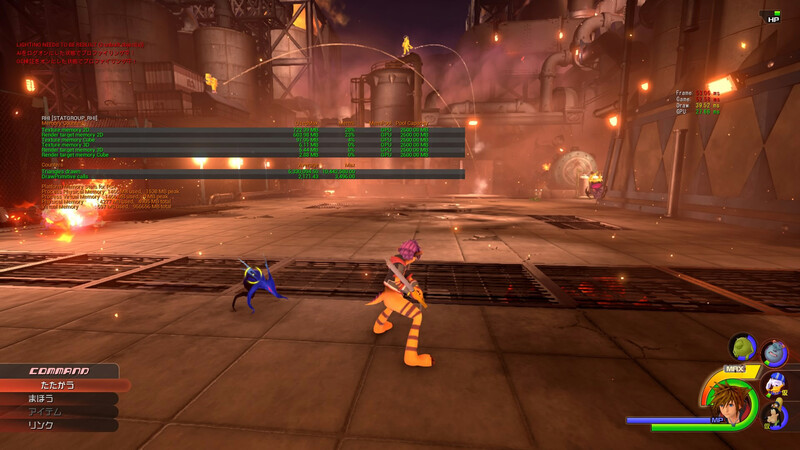 Again, Kingdom Hearts III assets have not been publicly released, how can you fake this? Oh i meant more aesthetically. The factory wasn't anything special, was just a normal looking factory. 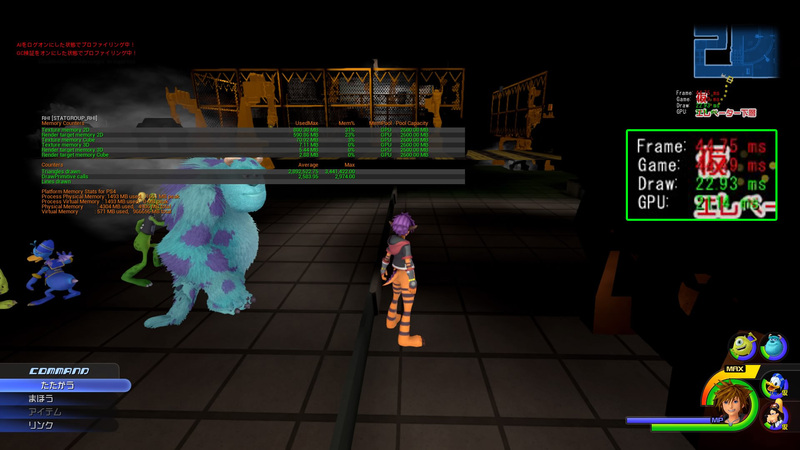 Now that i think about it monsters inc is a good replacement for Halloween town in the sense instead of using it again they now have another world Sora can become a monster. 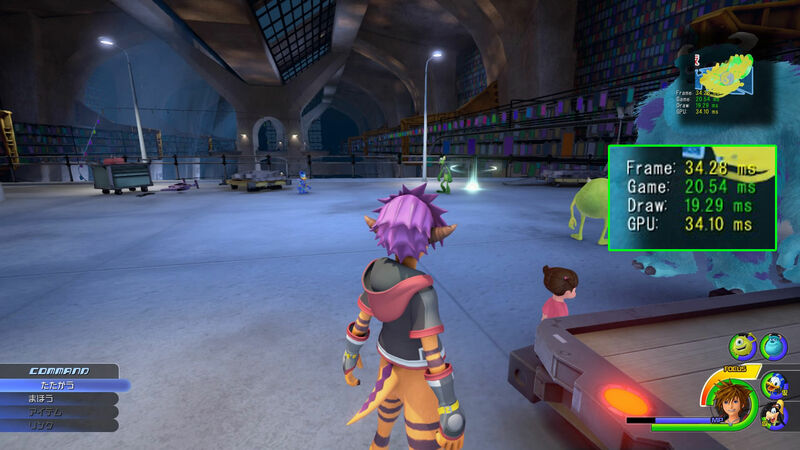 If Monsters Inc do appear, then they might actually change some aspects to been seen here. Like Sora getting a different outfit, Sulley's fur and etc. Oh man, someone tried to make a point that anyone can create a leak but their example was the worst thing I had ever seen. 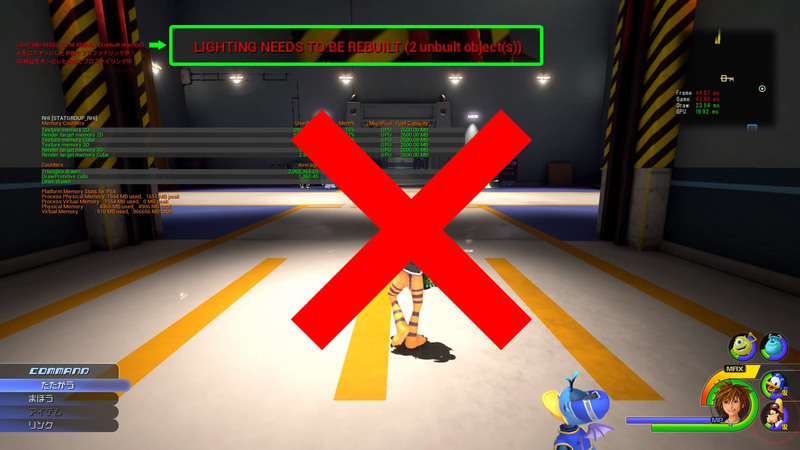 Instead of mimicking the content that leaked, five full character models, two enemy models, an area with lighting and reflections.... they just created a mock up of text. It was the worst way someone could try to make a point. Yeah, with these, I also believe that this has to be real. There's no way someone would waste their time doing all of this. That being said thoughâ€¦ Goofy's face looks atrocious. Sora's design is okay. I like Donald's. I think Goofy looks funny enough. It's all about weird looking monsters in this world, and if that fits any character, its Gooby. I think he and Dolan look amazing, Sora is alright as well. Man, if this is real it's a loss for me. I don't really like any of the designs and this is the ugliest Sora I've ever seen. I loved when I was controlling a boy exploring worlds and not a shapeshifter chameleon. The biggest thing someone could cling to if they think it is fake is the fact that we haven't seen Sora's face. Does anyone hold onto this as the reason they are holding off on thinking it's real? Nope, as good the community is, you can't fake all of this. We can tell this looks early and maybe we'll see a better polish version hopefully in a trailer. That's exactly right. And even when they started showing off media for it, we never should have seen Terra's face lol. The argument itself doesn't really make a lot of sense to meâ€¦? 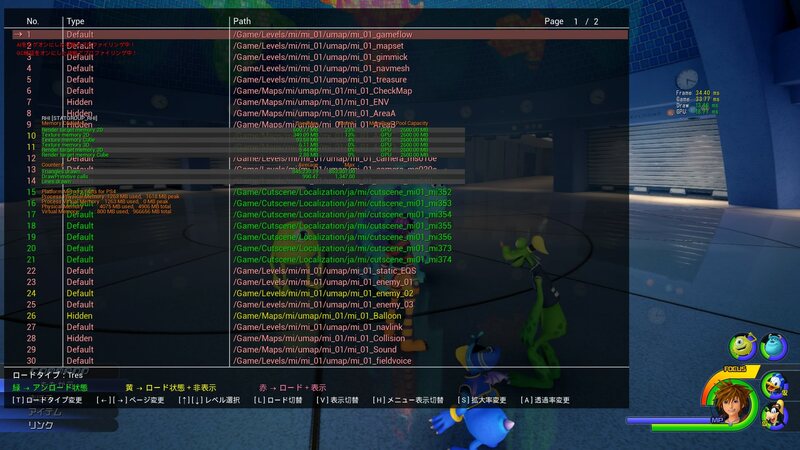 IIRC these screenshots weren't taken with the mindset of "I'ma leak this", but the user on that forum got them from someone else who found it on a serv-â€¦ I don't even know, but they weren't meant to be leaked. Why would they take a screen of Sora's face? Those guys are funny in the first movie, I'm sure we'll see them do something. I mean, they dog pile each other over a human sock. "They weren't mean to be leaked" has been my major argument on a lot of this. I've seen many people point out some small issues with these leaks, like Sulley's fur. They think "why are we seeing these when the fur looks bad" but that is attributed to "we were not meant to see these". It's also true of some of the images that have terrible assets in them. It's all temporary and in development. Higher quality assets will be in the final game. We weren't meant to see these right now, they weren't meant to be leaked. People should stop expecting to see final game quality here. I'm glad we didn't see Sora's face yet. Facial lighting has been a main problem in the latest trailers and in 0.2 as well and I hope that they take all the time needed to find a way to change that. Until then, I don't need to see Sora's vampire face. Okay now I hope it is real only because this might indicate that NPC's can be a thing again. In the one screenshot of everybody just wondering around, it is very "safe zone" like, and seems like you may be able to talk to the characters and see what they will say. I just hope there is more of that in the game. Also one thing I analyzed from the newer trailers is that the "Link" option is only available when Sora's MP is full. In these screenshots this is still the case, as in one of them he is missing some MP while the 4th option is grayed out. I am definitely going to say this is real now. 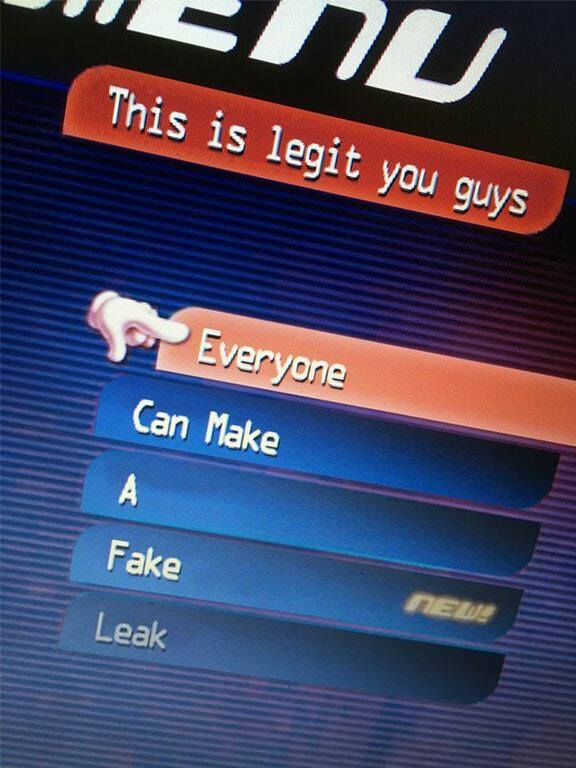 But honestly, if it's fake I want a "making of" video from the fake leaker. Boy, if the 0,01% scenario where it's indeed fake is real I want that too! This guy has talent. You expect to stay as a human in the Monsters Inc. world? for real? And besides, we weren't supposed to see any of these leaks to begin with. They're builds in development. Running at a blank what the transformation would be for this world. A door is all i got. Well it does come across as a tad bit suspicious that his face isn't in any of these, not even in the HUDs. Oh I know, "the HUD isn't finished yet". 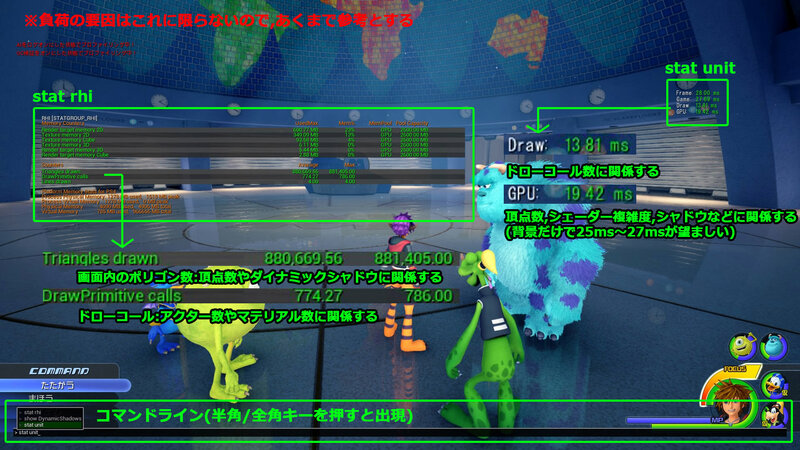 OK, but Mike & Sully have HUDs, wouldn't core party take priority over guest party members? 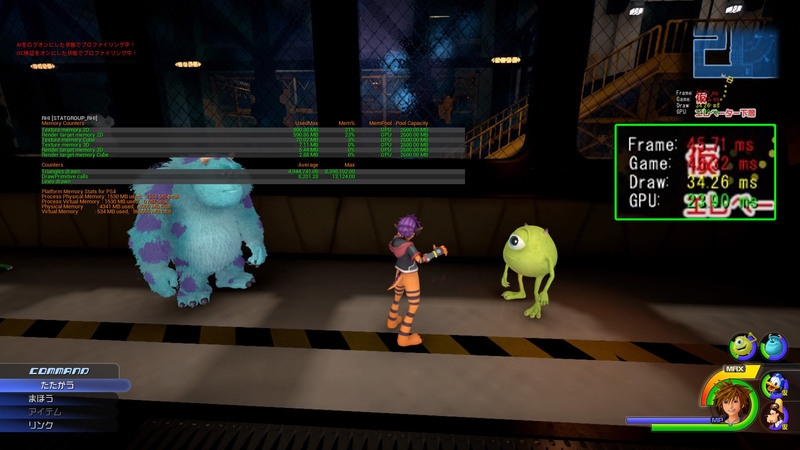 In fact Mike & Sully have multiple expressions in their HUDs when static images would do for placeholder, & the HUDs exist despite the in-game models not being finished yet. So I starting to think there should've been at the very least a basic version of SDG's HUDs in these screens. It strikes me more a faker couldn't make Sora's face look even halfway believable & chose to hide it instead. I don't expect anything, I'm just personally displeased everytime I see a Sora transformation for it's a feature I don't like. And tbh, the very moment Donald and Goofy interact in worlds where everyone is human and no one says anything I think anything goes and there isn't a coherent logic. Yea, im just gonna agree that these are real. Im kinda scared though...will there be a lack in 2d movie worlds? Maybe this world just doesn't give you a keyblade? That is very possible. But if you want some ideas, it could literally be anything. I felt like a silver dull looking drill is very unexpected for a Toy Story transformation (I love the drill, I am just saying it doesn't fit to me). It could turn into some giant monster gauntlets? Well this is a pleasant surprise! I felt it was real and seeing this cements my belief. There's no way this is some elaborate fake. The true proof right here. Well, one thing to consider is that Sully and Mike have set designs? Like, they know what they are going to look like, so it's easy to make HUD icons for them knowing that they probably won't change much design-wise (any change would mean having to redo them). SDG on the other hand will have likely gone through many iterations of their new forms/designs, so it makes more sense to wait until those designs are finalized before making new HUD icons for them, otherwise there's a very real chance you'd just be doing a lot of work that would just get tossed out as the designs changed. So it's not really about importance or taking priority, but more about minimizing potential wasted work. Just something to consider. Maybe we have to put it out with Blizzard, and the Flame Cores are going to keep stoking the flames. Either that, or Donald pulls a Donald and uses Fire on where there's fire. Sora looks a lot better up close! And this is the first we are seeing of a map!!! 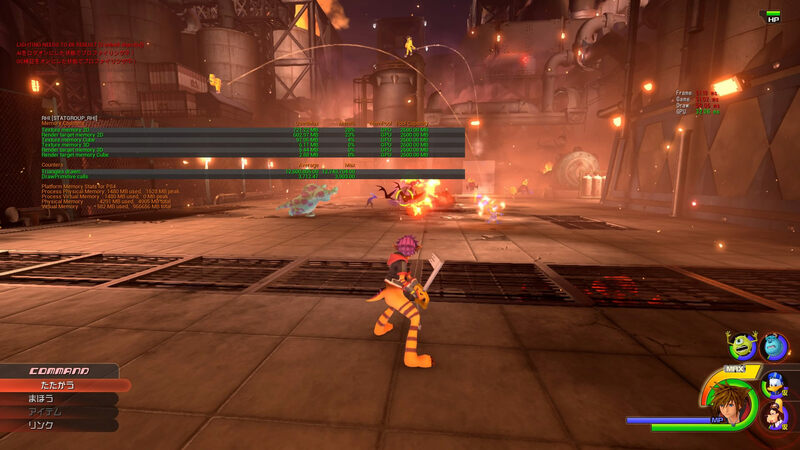 And also Goofys HUD when his health is low. We have not seen this before, right? 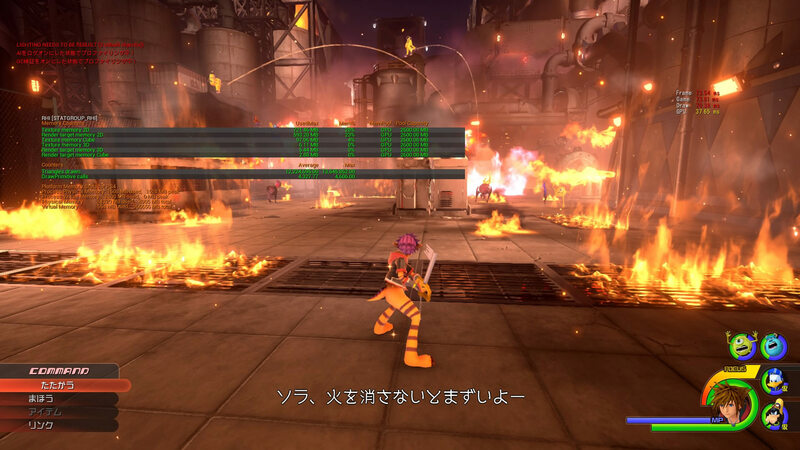 By the way, the subtitles in one of the pics says "Sora, we have to extinguish the fire". With blizzard perhaps? If this ends up being the one world they don't reveal before the game comes out, I am gonna be pretty salty about being spoiled. Goofy's is pure nightmare fuel. o_o Really hope if this is real, that they change that design, yeesh. It's still possible someone could have made this whom has a lot of time on their hands and is just really really bored. XD I've created models and imported them myself in unity before. Takes a long while if you're doing everything from scratch, but still possible. I'll only accept it if it's confirmed in a new trailer honestly, because this still has that possibility of being fake. Though I'll agree it's a pretty low possibility, as most people who fake leaks do it very lazily and use pre-existing assets. 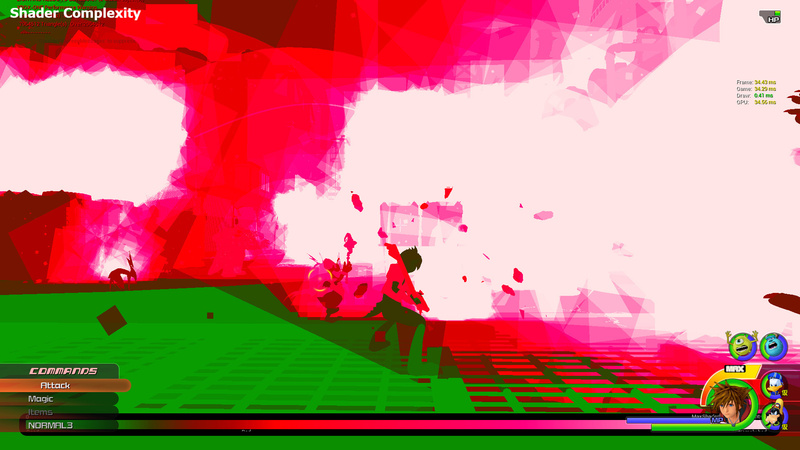 Eh I dunno, I think its more suspicious with the camera angles hiding them. Well except Goofy, who should stay hidden lol. I think the new portraits are made with the models, and clearly the monster versions aren't done yet? So I feel thats a good reason to not change their portraits at this current build. I found that suspect in the last leak, but again since they showed Goofy now, I dunno lol. [FONT=Verdana, Arial, Tahoma, Calibri, Geneva, sans-serif]It's still possible someone could have made this whom has a lot of time on their hands and is just really really bored. XD I've created models and imported them myself in unity before. Takes a long while if you're doing everything from scratch, but still possible. I'll only accept it if it's confirmed in a new trailer honestly, because this still has that possibility of being fake. Though I'll agree it's a pretty low possibility, as most people who fake leaks do it very lazily and use pre-existing assets. Well some source said that these could have possibly been from back in 2015. I mean that could be possible, nothing's impossible. Comments on Facebook are so immature and ignorant, it's insane with this leak. Some of them just make KH fans look dumb. Honestly though I'm tired of seeing this as fake and is just happy to see more of this. I believe this to be real. If most of the remaining the remaining worlds were Pixar, I'd be happiest. I like Pixar movies more than Disney originals and from what we've seen so far, they look a lot better on the engine. Yeah so Donald's old hat is like clipping through his new head model and its kind of misshapen. Maybe their clothes really are just placeholder? I dunno, that hat looks super bad. Like they would never keep it, at least not like it is right now. The clothes are the only thing I don't like about Sora so I kind of hope ha, the colors clash too much. I love the scale hair cuz spiky anime hair, thats amazing. And the color scheme is fun for his actual...fur? Goofy is the least interesting, Donald is cute with his moogle wings and probably a cyclops. I hope lighting does help poor Gooby ha. Those eyes are scary tho lol, maybe he should become a master scarer. Have we seen Goofy's death icon before? Five bucks says it doesn't appear in the game and we never get an explanation if it was fake or cut. Why isn't Boo in her monster costume? Maybe she loses it at some point? I think it would've been more interesting plot-wise for him to be human in a Monsters, Inc. world, tbh. Turning into monsters, this'll probably end up a drive-by of the movie plot like most of the KH2 worlds. For some reason I feel like Monsters Inc won't follow the movie and continue the (own take) on it's world. Like Toy Story, Big Hero 6 & Olympus Coliseum. We don't know about Tangled yet though. But it just kind of seems like the creators have listened to the more popular approach with original storyline for worlds. If Sora stayed human I wonder what that would have meant for Donald and Goofy? Would the monsters be afraid of them as well? Huh. Haven't even thought of it that way, but maybe this is one of the reasons transformations usually don't sit well to me: I might unconciously link them to an even higher chance of just having a rerun of the movie. Yes, I am well aware that doesn't guarantee anything but. It is true that if Sora was human it'd be a confirmation that the world was either a separate story or set after the first movie and humans are no longer considered toxic. See, this is why earlier I said that Donald and Goofy throw this whole trying to find a canon reason for transformation out of the window: they're not human in the first place, but transformations apply to them just like with Sora. For example, if Sora truly needs to transform into monster because humans are a no-no I'd question why Donald and Goofy didn't need to disguise themselves as humans in Deep Jungle. Clayton did all of that for mere gorillas, why didn't he try to capture and sell two legit talking animals. I disagree, I think this is one of the worlds where it follows the movie's narrative. All signs point to that. If it was an original story, Boo wouldn't have been present. There's always a chance for a sequel. Could explain Boo missing the outfit. But that's just a thought. While having a world leaked was nice, I sure hope no one at Disney or Square got in trouble for this. Or worst fired. The absence of reaction is also odd, they spared no time in silencing Utada's father or Bill Farmer back in the day. Perhaps they were going to announce it soon and are trying to get the hype going by letting the leaks flow? I hope that this does end up making it into the game (even as dlc). It's very possible they just had not made Boo in her outfit yet at the time these screens were taken way back when. I can't say for sure, but this world seems to be following movie plot, and I think it would work well. I wouldn't mind if they follow the movie plot. Like KH2 made them weak af minus their limits, but I think some people seem to remember that as "the whole series" which bums me out. I do hope we can have something where they do decent damage again, the fact we will be having 6 or 7 members potentially though really worries me they will make them crappy again. It seems like such a waste, I get Sora being powerful is nice since we play as him but I like my party members being useful as well. I'm hoping the number of heartless can help offset the number of party members and they can still do decent damage without it being too easy. Does the factory ever catch on fire like that? I really don't remember that happening at all, and it made me think its not the original plot. Also idk, I still have hope both this and Tangled could just be based on the main movie, but still have plenty of differences like KH1 or the more original KH2 worlds. There's one thing I've noticed with the Screenshots. So, all you could get is what is shown in the pictures you posted? Or are you saying you have even more pictures? I'm so confused. 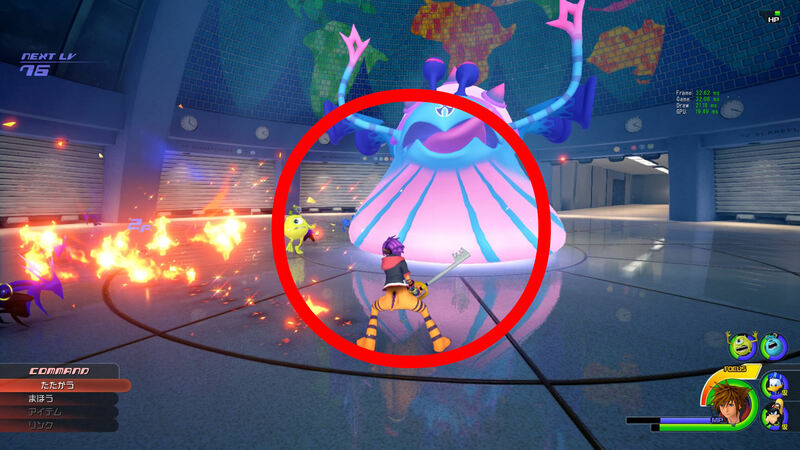 Is the monsters inc leak real or not? November? I thought it was leaked in December? I'm confused. Why did you say it was fake in the other thread? So, the first person who posted the two images also posted a Frozen one, but it was just an image from the movie itself. Were you the one who found that image too? That's the only one you could get, I suppose? There was no pictures of it from the actual game? Do you have anything from Tangled or Hercules or anything else? Well regardless, I think it has to be real now. I don't know how anyone could have enough time or energy to do ALL of this just for it to be a hoax. They would have to be excellent at making models and environments, or just be godly when it comes to photoshop. But, like others have pointed out, why the heck hasn't Square or Disney attempted to take these down yet if they are real? Maybe because they're from an old build? I was on team believer before, and now I am even more, but this whole thing is just bizarre. there arts center XAC did this i think. Interesting... it looks like they're going to recreate the final portion of the movie, with the frozen ships and such. Hans boss battle in that arena, maybe? It's looking more and more real, except all this is giving me a headache so it's more bad than good; I feel like I am being spoken to in riddles. Wait so was Frozen hinted in those images? I am so lost right now. I'm in the same boat as you, but I believe on the same server they were sharing the Monsters Inc. images were shots from the Frozen movie as reference points for a world. I am wondering the same thing. I'm so confused right now. OMG. If that's the case then I wonder how many more worlds will be leaked? Why i have this feeling that Finding Nemo is more likely to be in KH3 now? What? If anything it should be less likely now so there isn't an overpopulation of Pixar worlds. Now I don't really care for many movies, but the only reason I'd want something like Frozen is to have a full Ice world in KH. If this is what we're getting from this, I might get some resemblance of hype. so wait, first we have rumors of Monsters INC, now they're saying that Frozen will be in KH3 as well? Nothing is confirmed. The frozen images would be used as reference for creating the overworld. Big "if" because as I said, nothing is confirmed. Apparently some screenshots were posted hinting at a Frozen world. I have no idea what to make of any of this and hope someone clears this up. Basically yes. There are no pictures of an actual Frozen world, but shots and conceptual art for the movie, implying they are using them as reference for a Frozen world. Of course nothing is confirmed until Disney and Square confirm it themselves. Even though it's painfully obvious that we were going to get a Frozen world from the start because both Japan and the West are obsessed with Frozen even to this day. Today has certainly been interesting. If all of this turns out to be true, we just got two new worlds. I like this and hope it's real. Also agreeing with others in that I hope this is a KH1 style world, like Deep Jungle: Disney plot framing deeper KH mythos. Considering all the ways this could work on a character level, especially with Boo; Sora and co. gain something from seeing the monsters reconcile their fear of children with the revelation that they aren't actually dangerous. I wonder what~. Seems legit to me and the list of worlds seems legit too although probably incomplete given the fact this information was taken from 2015 apparently and won't be everything. I'm still hoping for a Jungle Book world. Yeah, I've heard this is from a 2015 build as well. Hmmm, then who knows how much more they've added in last year and this year. Seems legit to me and the list of worlds seems legit too although probably incomplete given the fact this information was taken from 2015 apparently and won't be everything. I'm still hoping for a Jungle Book world. I really want it to make it into the game. How do we know it was 2015? I thought it was a build from earlier this year. At least the monster inc pics. I hope this is true. I loved Monsters, Inc. as a kid. Goofy looks a bit disturbing, though. It really doesn't match the aesthetic of Monster's Inc at all though, I assume these were designed by someone at Pixar again like the Toy Story forms. Itâ€™s hard to tell because he is at a distance and hard to see, but it looks like Goofy has a zipper going down his front which might suggest that they are wearing costumes. Good to know I wasn't the only one that noticed that strange line in front of Goofy. Wouldn't be surprising if they were, since it would be similar to how Boo wore a costume. I guess I'm curious how they see though then lol. Like Goofy's creepy eyes seemed flush to his face and aren't the same shape as his real eyes ha. Maybe suspension of disbelief?